If you have a garage like a lot of people around the world today, then you probably have a pretty messy one. There are probably tools and cords all over the floor. Your kids’ stuff might be scattered about the space as if a tornado just went through your garage. Also, you may even have a floor that needs to be cleaned or cared for. It can be hard to fit all the items you want into one space. That is why it is essential to keep your garage systematised and well put-together. With only 3 products, you will be able to make garage organisation a thing of the present instead of a thing of the future. 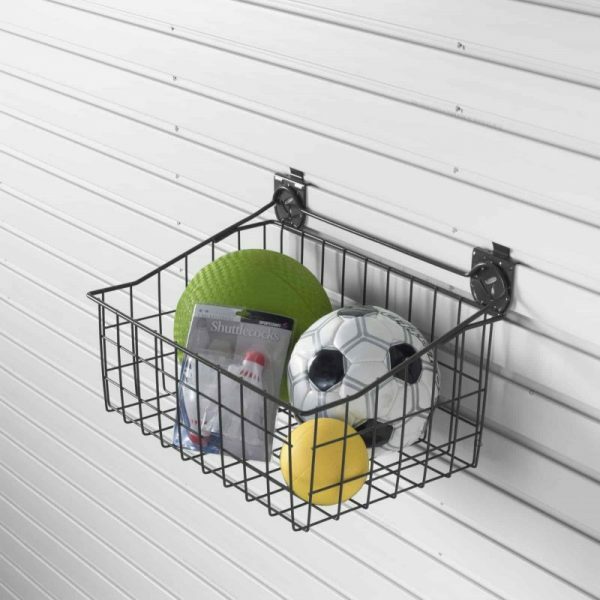 Every family that has sports equipment needs this wire basket. Organising baskets are a premium nowadays, but you can own this basket, which allows for easy access to your favourite sports items. Made from heavy-duty materials, this basket has a warranty that is limited over the lifetime of the equipment. Just imagine keeping your basketballs, soccer balls, baseballs, etc. all in one place to keep them organised, yet available for use whenever the need may be. 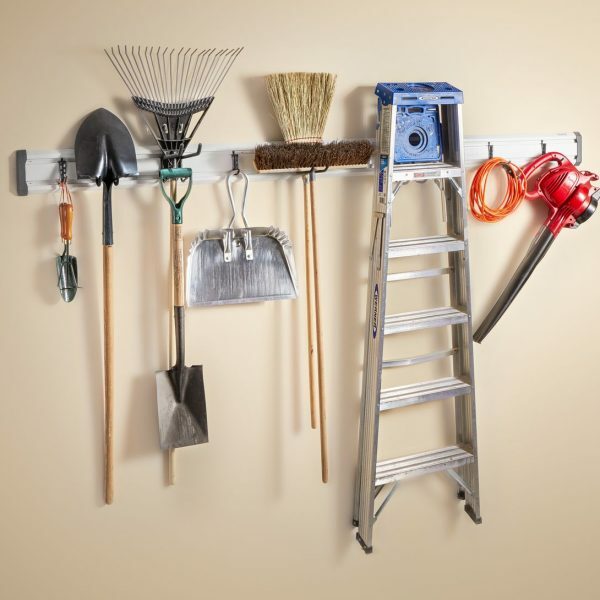 Garage shelving really can be this easy. If you own a lot of tools, the next organisation idea is for you. The GearTrack Starter Pack comes with a variety of storage choices such a Scoop Hook, L hooks, Channels, a Twin Hook, and much, much more. Just imagine getting your shovels, ladders, and brooms, to name a few, up and off the floor. This way, when your neighbours come by to borrow something from you, you can show them how organised you really are. This is truly one of the best garage wall systems around. You can move the storage hangers around with ease if you are looking for a different format to reposition your tools. Furthermore, this is a great way to keep them in reach for you, but out of reach for your young children and animals. 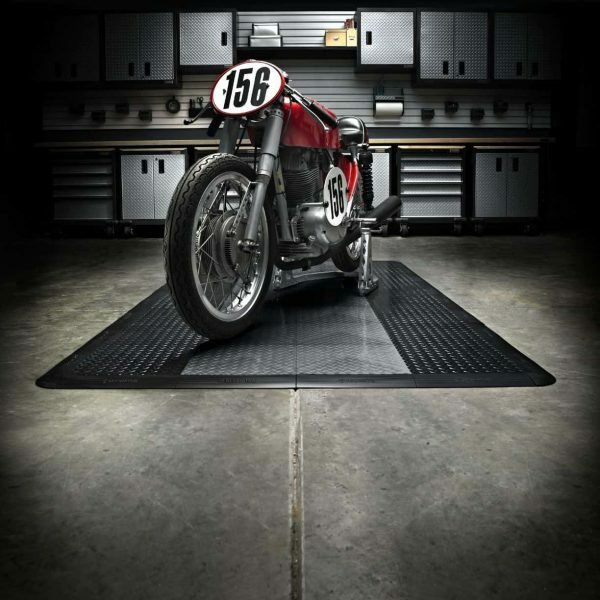 In a garage, many people may think to organise their item, but flooring is really more of an afterthought. Well, it should not be at all. Garage flooring can keep your floors clean from oil coming off of vehicles, or for storing your machinery the right way. Additionally, you can piece together tile that snaps together. This way, you can create flooring that fits you and your lifestyle, without professional assistance. Its checkerboard pattern is classy, yet efficient when you need it most. Even household chemicals are no match for the Gladiator Floor Pack. Are you worried about it in the weather? Do not be because it is excellent in the hot or the cold, and it will last, as it holds over 200 pounds of weight per square inch. Garage storage should not be something you only dream about, but rather a reality. 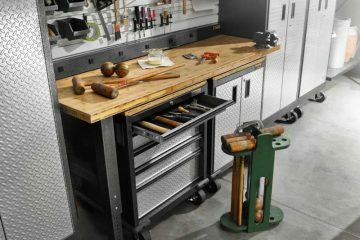 With methods like these in mind, garage storage solutions will be in your grasp. 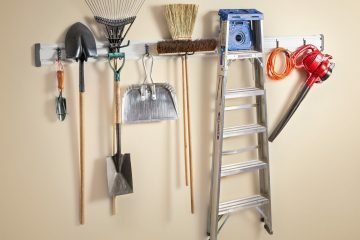 By hanging items on your garage wall, keeping your garage floor clean, and organising your sports equipment with a wire basket, you will be well on your way to a successful garage. 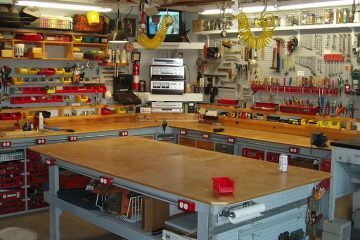 You may even want to keep your garage open to make others around you jealous.